With decades of experience in transforming global school networks, the long-term goals of the Supreme International Education, Singapore is to define the foundational competencies and activate teachers to be leaders for their profession. Education truly concerns us all; as an educational reformer I have vested interest in education because I’m aware of how much it shapes the personal and professional lives and our society in general. I have visited several rural schools in India and I have interacted with teachers, students, young adults over the years, Most of them can think of one or two exceptional teachers that have genuinely made a difference or left their print in their personal or professional journeys. Yet, the stories about these special teachers remain personal, and those teachers seldom have the opportunity to be recognized, as well as to share their experiences, inspire other teachers, and contribute to developing teaching as a practice in India. As a result, the initiative TEACH was born in 2009. This programme has trained more than 500 teachers in Cambodia, Bangladesh and Dubai. 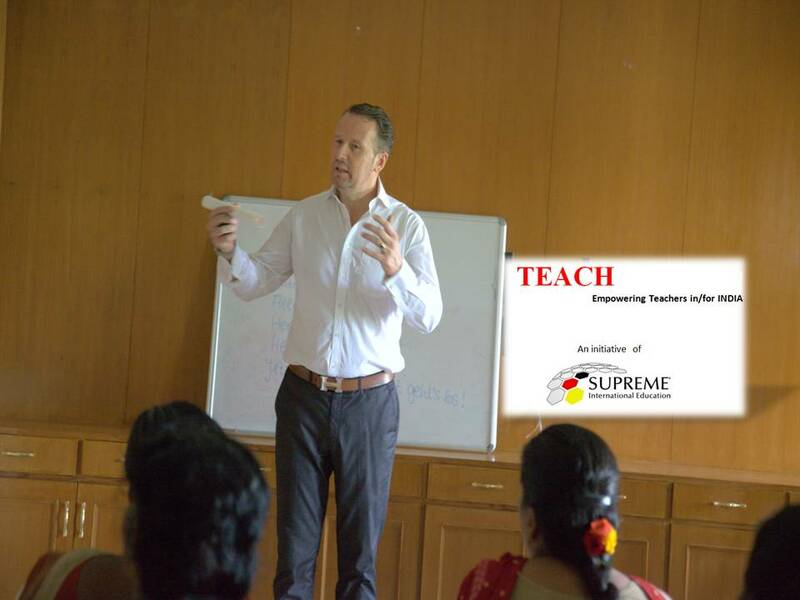 TEACH is a multipronged training programme for teachers, which will also develop a platform that facilitates a collaborative network of leadership activities. As pedagogical processes lie in the heart of quality education, TEACH is an innovative program that develops, and supports highly effective, experienced teachers to serve as teacher leaders in low-performing schools. This initiative is mainly intended to empower teachers in shaping the future of teaching as a profession and I’m really happy to lead the way!